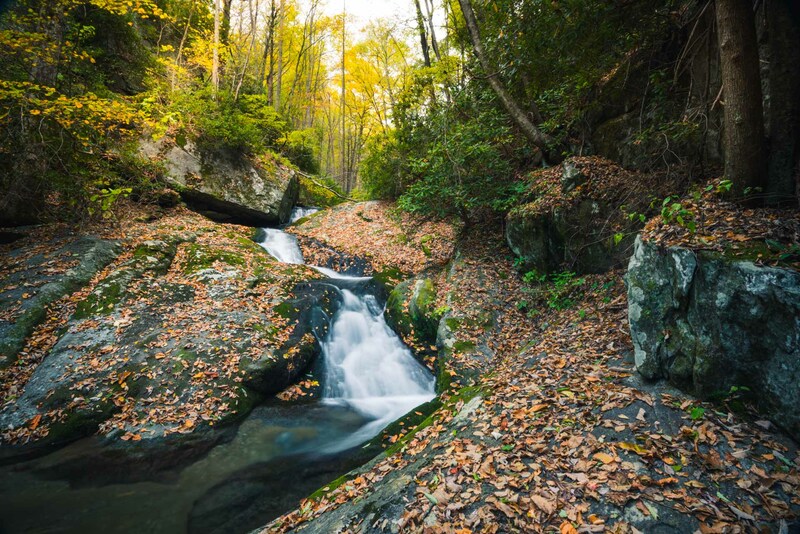 In 2015, Pisgah National Forest, The National Park Service, and Conservation Trust for North Carolina combined their efforts - and land - to rebuild a historic trail near Blowing Rock. Though the trail is well-built, the full tour is a stout day on foot. In just under 2 miles you descend 1000 feet through what Josh Kelly of MountainTrue calls "real deal" old growth forest to pristine China Creek (shown). The trail then switchbacks down another 1.5 miles to Upper Thunderhole, a secluded and overgrown plungepool.